Head Lice lay eggs that are white/yellow colored, oval shaped and so tiny that it is hard to see with the naked eye. They can be easily confused with dandruff flakes. 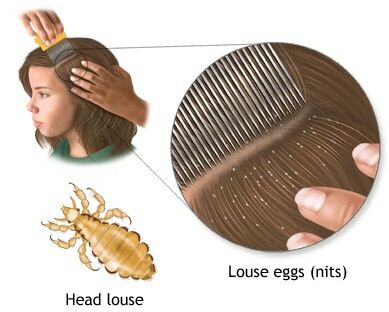 Head lice live on the head and lay eggs, or nits, along the hair or along the edges of clothing. In about a week head lice hatch and soon begin to reproduce again. Everyone can have head lice and nits but is more frequently seen in girls around the age of 3 to 12. 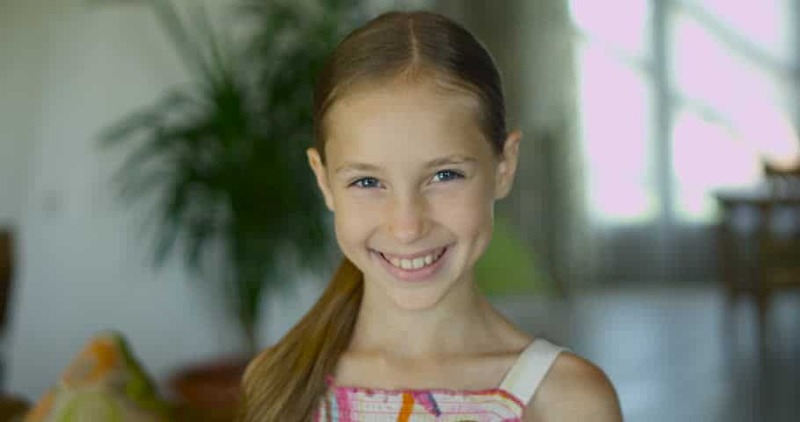 The reason girls are more likely to have head lice is due to their long hair and offers greater protection. A symptom of head lice is constantly scraping the head or small wounds that appear on the scalp or behind the ears, along the shoulders and neck. Head lice and nits are highly contagious and are usually transmitted from person to person. This is one of the reasons why children have lice so easily; When playing with their heads often, they come in contact with others. Sharing things like combs, towels, pillows, clothes and hairbands are also an easy way to spread lice and nits. There are several ways to get rid of head lice. You can buy shampoos and lotions at the pharmacy. These types of products usually come with a comb that is specially designed to sweep nits and head lice. Be careful because these types of products are harsh because they are generally insecticides. Make sure you take a look at what the base is. They are either water or alcohol. If you have a skin condition or allergies, then you should try water-based type head lice killer. If you are cautious to use aggressive chemicals on your child's head, you can try the herbs in getting rid of the head lice problem. Rosemary, neem and lavender are all good in removing head lice, which reduces inflammation and clear the area of ​​germs and other intruders. Tea tree oil is also good to use and can be found in many types of natural shampoos. A herb that you can try to get rid of head lice is Rose Geranium that has been shown to prevent another attack and help get sticky nits loose from their places. Make sure to check out the rest of the family and quickly change all the bedding where head lice nit infestation burst out. It is very easy for a family to get infected with head lice. Many times, each one in the family ends up with them! If your child become a victim of head lice, kill those follicles munchers and their eggs as soon as possible using head lice killer or any herbal products of getting off the head lice. In the world of elementary school, no child wants to be identified as having small insects in the hair. Spare your child's discomfort with a non-toxic homeopathic formula that kills lice and their eggs, while preventive treatment per day helps prevent pesky buggers back. Stop the itching and save the children the embarrassment of head lice, so always prepare a head lice kit. Are Nuts Good For Your Health?